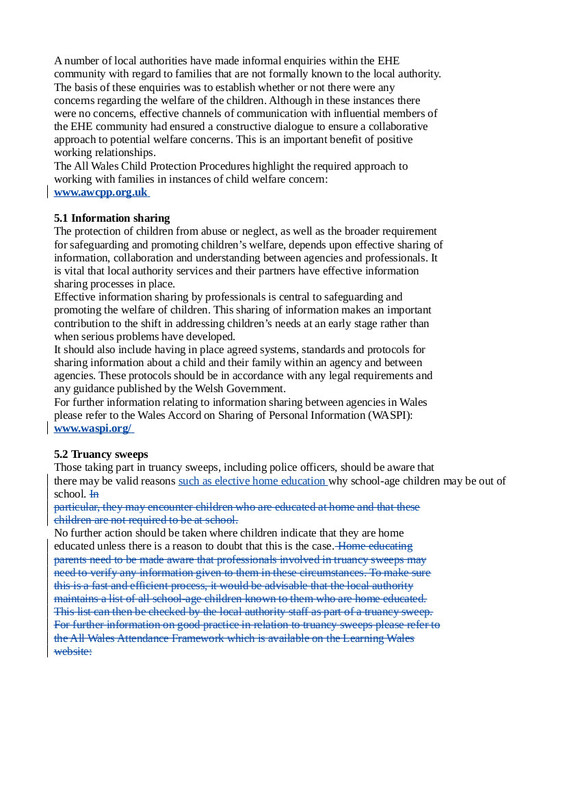 This is the seventh and last of a series of blog posts commenting on tracked changes to the draft Elective Home Education Guidance for Wales. The public consultation closes on July 3rd. ‘Concerns may arise where a parent states their intention to home educate’ is an extremely misleading way to introduce this topic. It is disappointing that this has been copied and pasted from the 2006 Guidelines 6.2 especially since the better sections from 2006 have been lost or altered. Firstly, parents and schools should be aware that where a parent sends written notification to the school, then school MUST delete the child’s name from the roll. In all other situations – for example parents telling the school that the child isn’t coming back until xyz is sorted and meanwhile they are going to teach them at home – the conditions for deregistration have not been met. Pupil Registration Regulations (Wales) 2010. Secondly, ‘concerns may arise’ does not spell out who might have concerns. 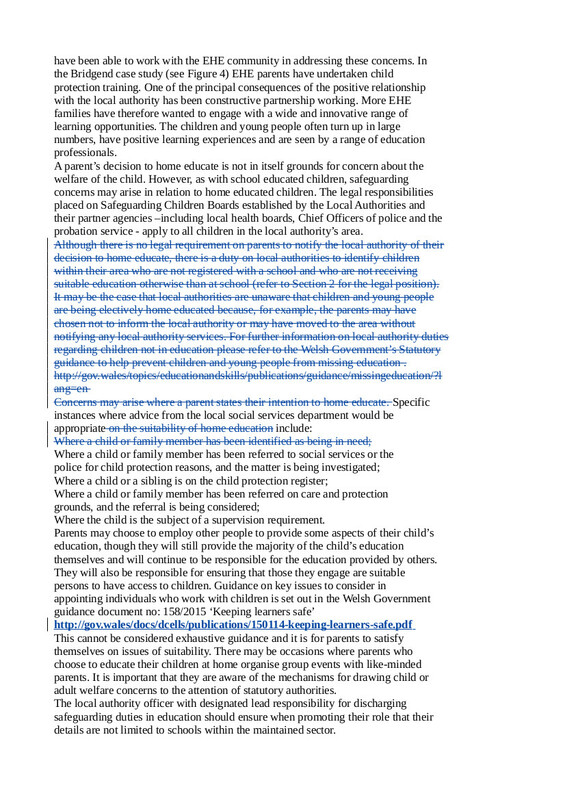 Nor is it clear whether – or how – the school is supposed to pass on concerns to the local (or regional) home education co-ordinator or to children’s social care, or what should happen as a result of ‘advice from the local social services department.’ Readers may be left with the vague impression that social services could veto home education or be able impose additional supervision or curriculum requirements [‘advice on…the suitability of home education’], although the law does not provide for this. Thirdly, it is not acceptable to put Child In Need on the same level as Child Protection. The fact that children may not be on the local authority list doesn’t mean they aren’t home educated.